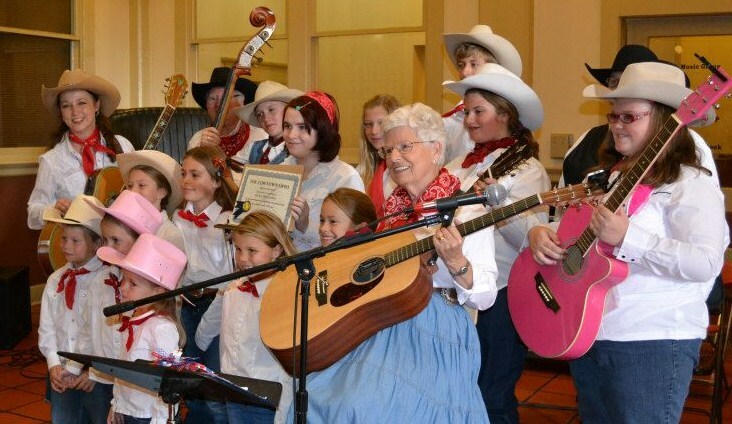 Cowtown Opry is a group of performers mighty proud of the great musical heritage of Texas! We do what we love best-preserve, promote and perform western heritage and western swing (the official music of Texas!) music! Join us every Sunday afternoon at 2pm on the steps of the Exchange Building where our Saddle Pals and Buckaroos (youth 17 and under) perform free to the Stockyards public!